Having served the purposes of the prime minister, the leader of the Independent Greeks, Defence Minister Panos Kammenos, is being discarded and pushed aside. There is no historical precedent for the partners in a coalition government to air their views and tackle their problems in concomitant television interviews instead of ironing things out between them. 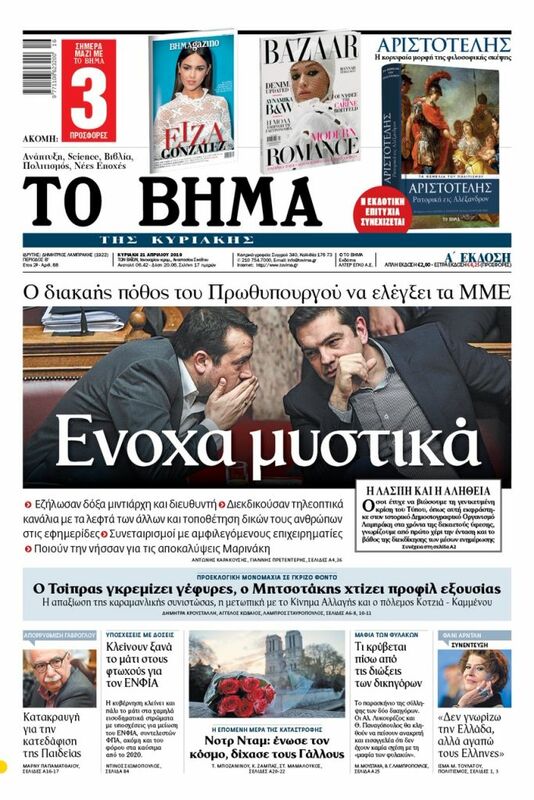 It has been obvious for quite some time that the political love affair of PM Alexis Tsipras and Defence Minister Panos Kammenos is ending. The opportunistic governmental alliance has long exhausted any advantages it may have had, at least for SYRIZA. Having served the purposes of the prime minister, the leader of the Independent Greeks is being discarded and pushed aside. His party is crumbling. 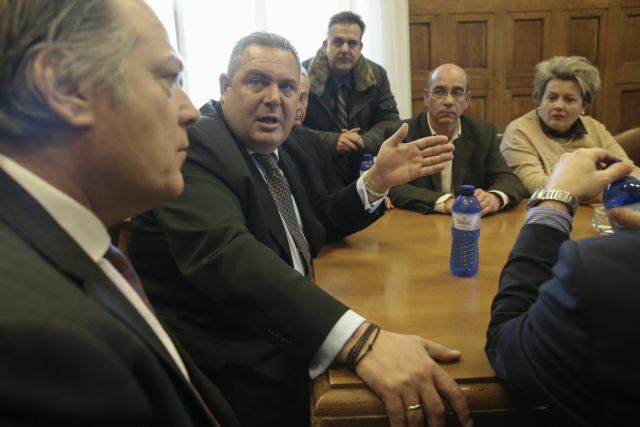 His MPs and cadres have already joined the Tsipras bandwagon, and Kammenos is feeling the earth move under his feet. One after another, his MPs and cadres who now hold cabinet posts are abandoning him with great ease. SYRIZA ministers such as Finance Minister Euclid Tsakalotos consider it natural – and not an apostasy or betrayal – for the Independent Greeks MPs to leave their party for the sake of power. The internal problem of governmental cohesion, however, does not concern only the two coalition partners. It concerns the entire country and its citizens, who realise that the current situation cannot continue. The collapse of this incongruous ruling coalition exacerbates the climate of political uncertainty, which has burgeoned due to upcoming general, local, and European Parliament elections. All this has triggered a chain reaction that impacts on the economy and on the critical problems which the country faces. The constitutional amendment process in Skopje, in which revisions mandated by the Greece-FYROM Prespa Agreement are to be approved, is what has ruptured the pact between SYRIZA and the Independent Greeks. How the political divorce works out is their affair, as long as they do not transform their skirmish into a problem for the entire country. The economy and society cannot endure any more power plays. It is crucial for the end of the ruling coalition to be a starting point for transcending the climate of uncertainty, which is undermining the country’s course. Clean solutions and clear answers are needed, and only elections can satisfy that need.